South Beach is really what most people refer to when they talk about "Miami Beach". South Beach, or SoBe has become synonymous with glamour, chic Art Deco, mile-long sandy beaches, beautiful people and a thriving night scene. South Beach is quite compact but has much to offer... stroll through stunning art deco architecture, relax at our iconic postcard perfect beach, non-stop partying at our legendary night spots, plus the window shopping, dining, or just simply people watching... South Beach always delivers on the promise of a swanky, chic and memorable experience people love returning here time and time again. 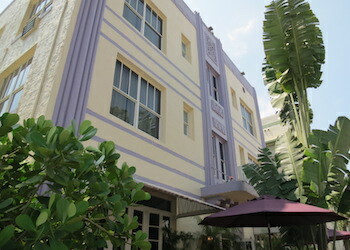 Ocean Drive is South Beach's Grand Central that manages to steal the limelight... this is where it all happens. 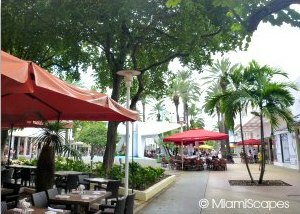 Accross the Street from Ocean Drive between 5th and 15th Streets, the stretch known as "Lummus Park", is where you come for a day in the sun and more. A vivid blue ocean, wide sandy beaches that go on for miles, gentle waves... and a highly charged atmosphere. The Beach at Lummus Park, Ammenities, Parking, etc. 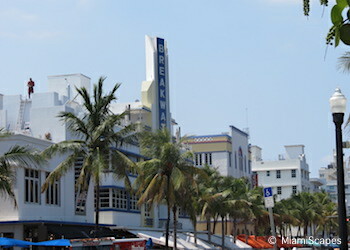 Miami's art deco district is the largest concentration of Art Deco buildings in the world. With some 800 buildings gathered in roughly a square mile, this is an architectural treasure listed in the National Register of Historical Places. 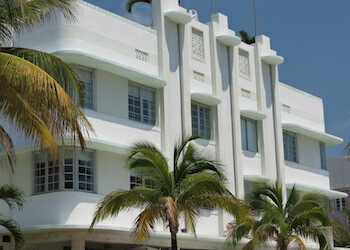 The Art Deco Welcome Center is your starting point to explore our fantastic architectural treasures. Examples of Art Deco on the beach abound. Dotting the shore in vivid contrast to the sparkling blue ocean, stands an array of bright colored lifeguard towers, each with a very unique art deco design and its own piece of history. 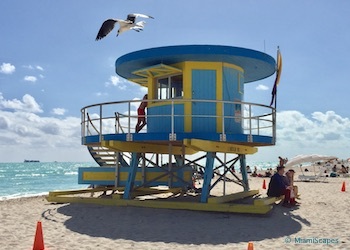 The popular structures besides providing support to the Miami Beach Patrol Lifeguard staff, have become a cherished symbol of Miami. This has to be one of the most fantastic walks in the city running along the shore and giving you stunning views of the ocean. 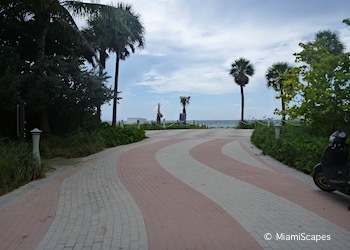 The Miami Beach Walk is the series of promenades, paved paths and elevated boardwalks which make possible to get from the very southern tip of the island to the very top. 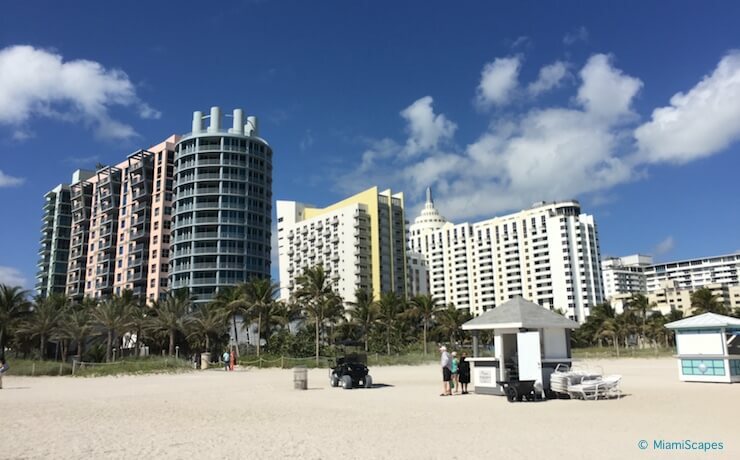 The Miami Beach Walk starts in South Pointe, connects to South Beach via paved walks and the Lummus Park Promenades and bring you to the elevated boardwalk in Mid-Beach. Just down from the hustle and bustle of Ocean Drive, right at the very tip of the island, the vibe here is relaxed and friendly, great for families, kids, even the dog! Gentle breezes, an iconic pier from which to cast a line, a fabulous beach and killer views of Fisher Island and the Miami skyline, this a great spot to watch the massive cruise liners sail by as they leave or enter port. Another one of South Beach's walking promenades lined with shops, galleries and restaurants with a more relaxed vibe (for SoBe's standards). There are fountains, open spaces, lush plants and trees and even a bandshell for events, all intermingled with the outdoor cafes and eateries running along the middle of the mall. 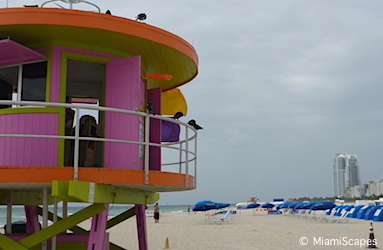 Miami Beach's only Apple Store is found here, as well as a Romero Britto Gallery and more than a few Starbucks. 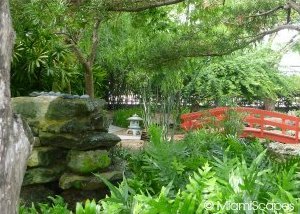 A little oasis of greenery and tranquility in the heart of hectic South Beach, the Botanical Gardens is an Asian style hidden gem with a gorgeous Japanese Koi Pond, and a variety of bamboos, orchids, tropical vegetation and trees. This is a free open space, there are lounge chairs to relax with a good book or enjoy one of the many open air events. 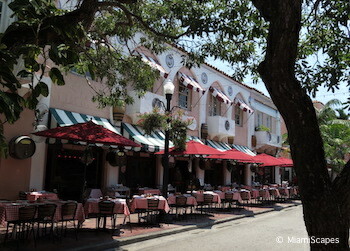 This is a small lane running parallel and just south of 15th Street in the heart of South Beach. It is a pretty street with a Spanish colonial atmosphere that dates back to the 1920's and is lined with sidewalk restaurants and tapas bars. There is a great range and variety of cuisine for al fresco or inside dinning: Cuban, Brazilian, Spanish, Italian, Mexican... Gorgeous architecture, live music and entertainment and a vibrant atmosphere round it all up at this pedestrian-only outdoor promenade. 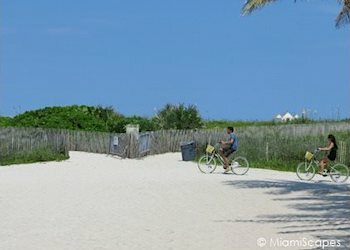 Biking is not only a great way to get around South Beach, it is a fantastic way to enjoy some of the most beautiful sights in the city. 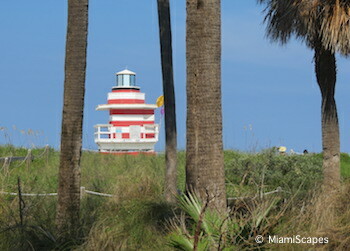 One of the favorite bike rides is along the Miami Beach Walk which runs parallel to the waterfront. There are plenty of bike rental options including the Citibike sharing and rental program that has hundreds of stations throughout the city and is very convenient for visitors, all you need is a credit card and off you go. This has to be one of the funnest ways to sightsee. 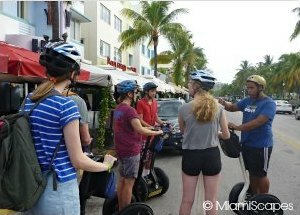 There are many tours that take you through the heart of the Art Deco District in South Beach, along South Pointe, the Miami Riverwalk... or simply rent a segway at one of the many outlets throughout the city and explore on your own! New to Segwaying? (is that a verb?) No worries, friendly guides provide all the instruction and equipment for you to ramble through the popular spots safely and with confidence and make sure everyone has a good time. 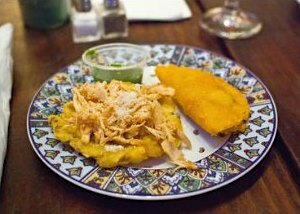 And along the way, you also get a chance to try the different flavors of the area, there are some five to seven stops that will give you more than a taste of the region and mesh of cultures. The vibe here is highly charged and when there is a major event, which is quite often, bordering on the chaotic. Miami's South Beach hotels will get you as close to the center of the action, whether a night in the town, a day basking in the sun, a stroll through stunning art deco architecture, high-octane shopping and dinning and more. 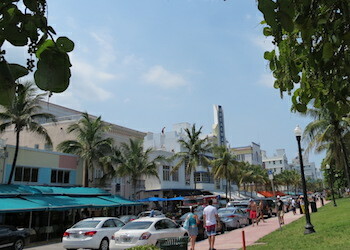 Parking anywhere in South Beach is always a challenge, specially near the beach and Ocean Drive. There is metered parking on the streets but street parking is usually jammed. 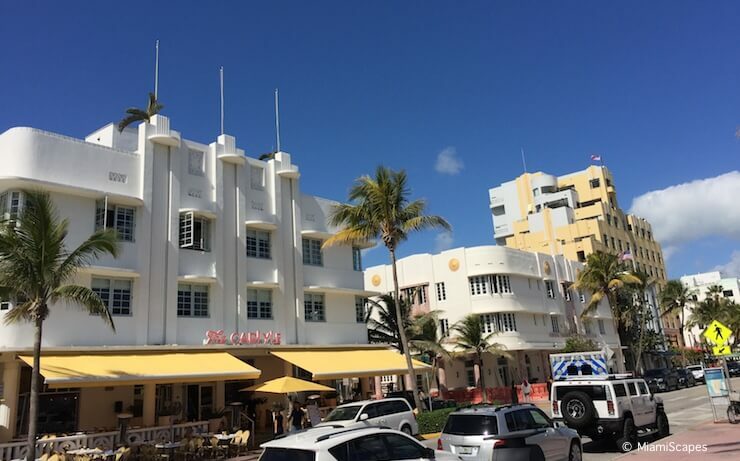 There are several municipal lots and garages throughout South Beach with cheaper daily rates than the valet or onsite parking at the many hotels where rates could be up to $50 per day. Follow MiamiScapes's board Art Deco on Pinterest.